Chess is very popular in the college and the chess club meets every Tuesday after lessons and is open to all ages. 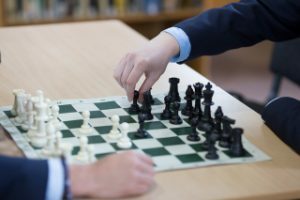 Chess may be played in the library at breaks as well as before and after college. The college has an extremely successful record over the years winning many trophies for team and individual competitions.